After independence of Pakistan in 1947, many Muslims of East Punjab and Haryana settled in Chiniot. During the Mughal era, Chiniot produced many intelligent personalities and talented artisans who occupied positions in the Mughal courts, Nawab Saad Ullah Khan and Nawab Wazir Khan held the post of Prime Minister of India and the Governor of Lahore City respectively during the rule of King Shah Jehan. The important products of Chiniot includes silk, cotton, wheat, sugar, rice, milk, pottery, and wooden-furniture etc. Chiniot is the name of leading industrial areas of Pakistan . 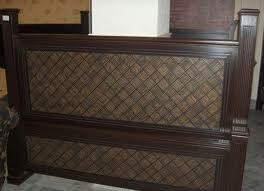 Chiniot is world famous for its exotically carved and brightly lacquered furniture. Chinioti craftsmen and artisans have for centuries carved flowers and geometric patterns on to cellulose fibers. Masons from Chiniot are thought to have been employed during the construction of Taj Mahal and Temple, both now in India.